and variations including stones are available to order. 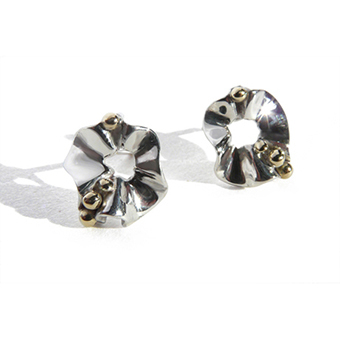 Crinkly stud earrings are light and easy to wear. The different folds reflect light in a lively way. A tiny stone can replace the largest of the three beads in a row. They are approximately 11mm in diameter.